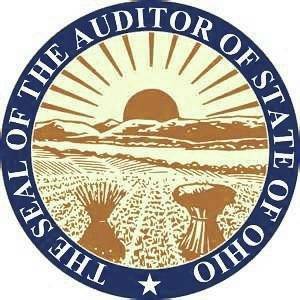 COLUMBUS – An audit released Tuesday by Auditor of State Keith Faber issues findings for recovery for $3,652 against Clinton Brown, former police chief for the Village of New Vienna in Clinton County. According to a news release from Faber’s office, in January 2017, Brown created a bank account using his social security number and named the account New Vienna Police Department K9. During the course of the year, Brown solicited donations to create and operate a K9 unit for the village’s police department and kept donated funds in this account. Upon reviewing the K9 account, auditors found Brown had made several improper expenditures over the course of the year. These included 27 personal cash withdrawals totaling $1,926, three personal debit card purchases from Walmart totaling $288, and 23 more debit card purchases from various vendors totaling $1,157 that lacked supporting documentation to verify they were for the K9 unit. Additionally, in Brown’s personal bank account, auditors found $281 worth of donations meant for the K9 unit. In accordance with these facts, the Auditor of State’s office issues a finding for recovery against Clinton Brown for $3,652 in favor of the Village of New Vienna Police Fund. Additionally, on December 17, 2018, a Clinton County grand jury indicted Brown for one count of theft in office and two counts of deception to obtain a dangerous drug, which were unrelated to the matter with the K9 bank account. The results of the case are still pending and a pre-trial conference is scheduled for April 12. A full copy of this report is available online at http://bit.ly/2Woa3Az .